Here is a list of essential and some nice to have items you will want to include in your luggage depending on the length of your stay or activities you want to do. You will want to have a nice large tote to carry all of your beach items like a book, water bottle, snacks, chapstick and sunscreen to have on hand during those afternoons by the water. Maybe you can even fit your donut floaty to blow up at Descanso Beach Club and float with a buffalo milk in hand. Whether you want to lay out by the water or rent out a SUP or kayak, you may want a beach towel or two. On beautiful and hot days on the Island, you will definitely want to jump into the Mediterranean climate water. Some of the beaches do get a little rocky, so you may want to pack some water shoes to avoid hurting feet at the end of the day. You obviously want to bring a bathing suit to this paradise. If you plan on getting in the water, you might want to think about a change of clothes just in case. Note: If you are staying overnight, your hotel will most likely have beach chairs and towels available for you to take to the beach. A backpack to hold all of your belongings is a great essential for a nice hike. There are lockers available at the ferry dock, but the hiking routes are a little further away, so a backpack is a great tool to help you keep your belongings close by. Comfortable shoes are a must as many people will do a considerable amount of walking throughout the Island (even with a golf cart) during your vacation. There are so many Instagram worthy stops as you hike around the Island so you want to capture memories. All of these hikes have beautiful sights and lookout points with picturesque views. Catalina is known for its beautiful Trans-Catalina Trail which goes across the entire Island from Avalon all the way to Two Harbors with many other hikes in between. Stop at the Conservancy to grab a map and permit to help you plan your hiking routes. While temperatures are usually warm on the Island, it can be chilly on the boat over, and in the morning and nighttime. The sun is always bright on the Island and you want to stay protected. There are water bottle refill stations available throughout Avalon making it easy to refill your water bottle when needed. This is a must as many people will do a considerable amount of walking throughout the island during your vacation. Avalon is very walkable and you will want your feet to love you at the end of your stay. 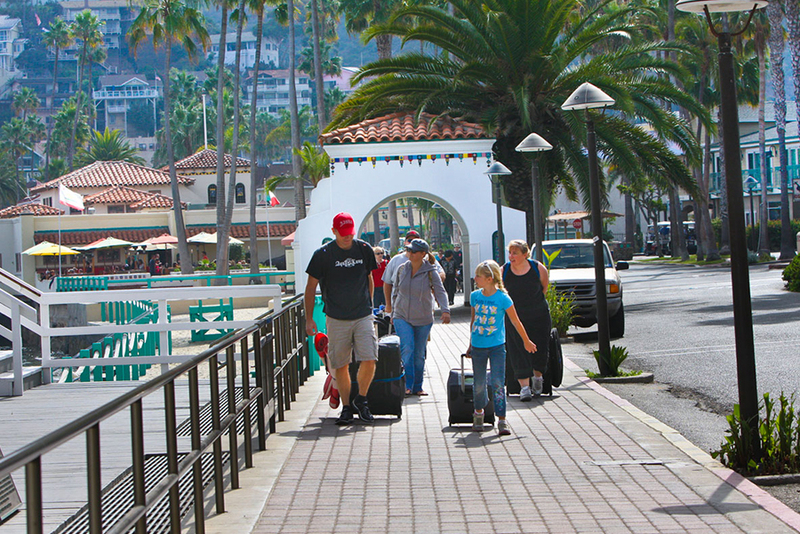 Now you have a list of the essentials to bring on your Catalina Island getaway!